Gymnosperms are a relatively small group of plants that do not flower and bear "naked seeds." This means that the seeds are produced on the surface of the reproductive structure, rather than enclosed within it as in a fruit. Comprising 65 genera and 720 species, the gymnosperms are divided into four extant divisions, Coniferophyta (the conifers), Cycadophyta (the cycads), Ginkgophyta (the ginkgoes), Gnetophyta (the gnetophytes) and two extinct divisions, Pteridospermophyta and Cycadeoidophyta. Gymnosperms are the most primitive seed plants and are believed to have evolved from the extinct Progymnospermophyta (progymnosperms). Fossil records indicate that progymnosperms lived 360 million years ago. These plants, unlike modern gymnosperms, did not produce seeds. They reproduced via spores, suggesting a common ancestry with ferns. 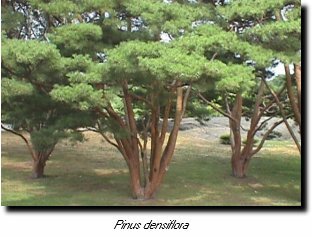 Comprising 550 species, conifers are the largest and most familiar group of gymnosperms. Conifers can range in size from tall trees, such as redwoods, to shrubs like yews and junipers. They are widely distributed around the world, often preferring cold to temperate climates, and regions of high elevation. Most conifers are evergreens that retain their green leaves all year round. 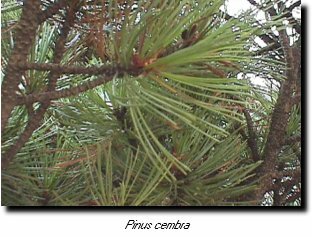 In fact, many species of pines only shed their needle-shaped leaves every two to five years. Most conifers bear cones. Typically, the female cones are bigger and contain the female gametophyte (located in an ovule). The pollen-bearing male cones tend to be smaller. The ovule is exposed when the scales of the cone open during pollination, a process that transfers pollen to the female gametophyte. 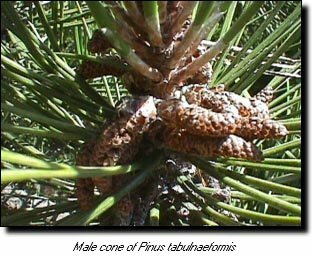 The female cones are often located higher on the tree, allowing ovules to be easily pollinated. A sticky pollination droplet on the ovule catches the pollen and the cone closes soon afterwards. Fertilization will not occur until the female gametophyte matures. This lengthy process can last from twelve to thirteen months. The pollen also matures by ingesting the tissues of the ovule. When the female gametophyte matures and is fertilized by pollen, a seed is produced. Once the cone opens, the wing-shaped seeds are easily transported by the wind. Conifers and other gymnosperms are economically essential in today’s world. Conifers are used in paper, furniture, as well as lumber production. The white spruce, in particular, is essential to the music industry for making music instruments such as the violin. In ancient times, the Greeks and Romans used the resin found in conifers to waterproof ships and ropes. The Egyptians even used it to seal their mummies. The amber produced by the kauri pine, worn widely in the past for protection from asthma, rheumatism and witchcraft, is well known today for the prehistoric bugs sometimes preserved in it. Amber is used extensively in jewelry. Sago, extracted from the trunks of certain cycads, is used to thicken soups and make pudding. In the past, ginkgo seeds have been consumed in Asia. Today, ginkgo is believed to improve memory and enhance circulation and metabolism in the brain; thus, this herb has become indispensable to the herbal medicine industry. Other medicinal uses of gymnosperms include taxol, the drug extracted from the bark of the Pacific yews that has been successful in treating ovarian tumors. Gymnosperms are also very important ecologically. They provide food and shelter for numerous animals and insects. Gymnosperms also prevent soil erosion in forests. Symbiotic relationships with mycorrhizal fungi exist in some pine species, where the fungi help the gymnosperms absorb nutrients from the soil and the fungi receive the photosynthates. Some cycad species are also known to have a symbiotic relationship with nitrogen-fixing cyanobacteria. Gymnosperms also help reduce the greenhouse gas, carbon dioxide, from the air. This project was supported by a Research Experiences for Undergraduates (REU) grant from the National Science Foundation (DBI-9808824).